Discover a whole new world at Ever After High with the Forest Pixies. In the epic Netflix Original Series "Dragon Games," the fairytale students at Ever After High find adventure in the Enchanted Forest where they meet the cute-sized Forest Pixies. These mystical protectors of the forest creatures are magical and have natural charm. 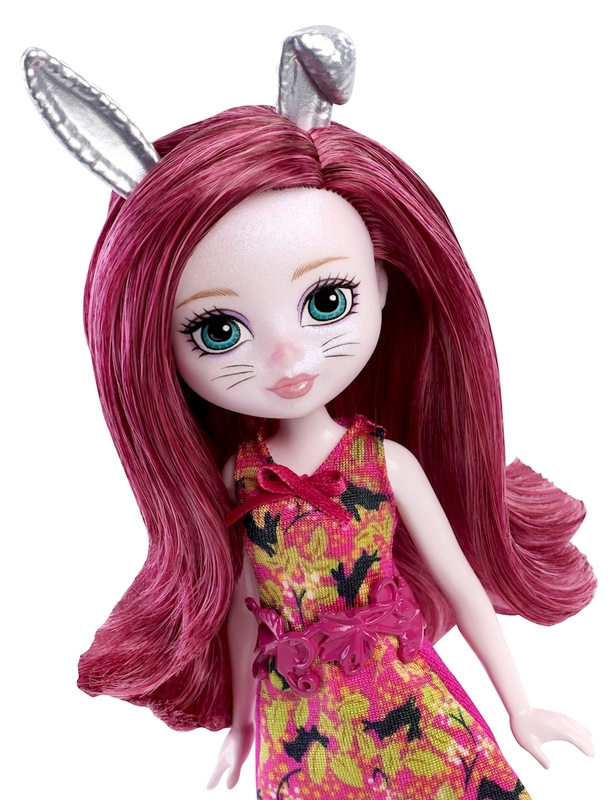 Harelow doll, the Bunny Forest Pixie, looks fairy enchanting in a colorful outfit with rabbit-inspired accessories, like a bunny ear hairpiece for her long pink locks. Kids will love telling new epic tales of their own with these magical creatures! Collect all of the Ever After High Dragon Games dolls to tell your own epic tale (each sold separately, subject to availability). Includes Harelow Forest Pixie doll wearing fashions and accessories. Doll cannot stand alone. Colors and decorations may vary.